Extraterrestrial life is the term used to define any form of life that may exist and originate outside the planet Earth, the only place in the universe known to support life. Its existence is currently hypothetical; there is no evidence of extraterrestrial life that has been widely accepted by the scientific community. The putative study and theorization of ET life is known as astrobiology or exobiology, and the term "exopolitics" may be used to denote the study of political relations between humanity and extraterrestrial civilizations. Speculative forms of extraterrestrial life range from humanoid and monstrous beings to life at the much smaller scale of bacteria. Extraterrestrial life forms, especially intelligent ones, are often referred to in popular culture as "aliens" or "ETs." The popular belief in extraterrestrial life has been fueled since the mid-twentieth century by numerous reports of UFOs (Unidentified Flying Objects) and claims of abduction. On the other hand, Christian skeptics consider them to be merely apparitions of angels or demons from the spirit world. Scientists have approached the effort to discover extraterrestrial life by looking to the stars—exploring the closest planets and moons for evidence of life; listening for radio or electromagnetic transmissions from life beyond Earth; and even sending a message into space. While evidence has not yet been discovered of any life currently existing outside of earth, many scientists remain hopeful and continue the search. Given that the existence of life beyond earth has ramifications of the greatest significance for humankind, there are serious questions and preparations that need to be made on earth before this endeavor succeeds. Astronomy played a significant role in ancient societies, the arrangement of heavenly bodies inspiring cultural beliefs and mythology. Beliefs in creatures and lifeforms that populated the sky became almost commonplace in the ancient world. The atomists of Greece took up the idea of an infinite universe, with an infinity of populated worlds. The Jewish Talmud states that there are at least 18,000 other worlds. The Babylonians, Egyptians, Sumerians, Chinese, and Aztecs all held somewhat similar ideas of multiple worlds that existed amongst the stars. However, these beliefs were often spiritually focused, as the sky and stars were often the domain of deities and supernatural powers. The notion of alien biological lifeforms as they are thought of today, did not take shape for centuries. This situation changed, however, with the dramatic shift in thinking initiated by the invention of the telescope and the Copernican assault on geocentric cosmology. Once it became clear that the earth was merely one planet amongst countless bodies in the universe the extraterrestrial idea moved towards the scientific mainstream. 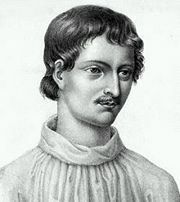 The best known early-modern proponent of such ideas was Giordano Bruno, who argued in the sixteenth century for an infinite universe in which every star is surrounded by its own solar system; he was eventually burned at the stake for heretical ideas. Dominican monk Tommaso Campanella wrote about a Solarian alien race in his Civitas Solis. The possibility of extraterrestrials remained a widespread speculation as scientific discovery accelerated. William Herschel, the discoverer of Uranus, was one of many eighteenth and nineteenth century astronomers convinced that our solar system, and perhaps others, could very well be populated by alien life. Other luminaries of the period who championed "cosmic pluralism" included Immanuel Kant and Benjamin Franklin. At the height of the Enlightenment even the Sun and Moon were considered candidates for hosting aliens. This enthusiasm towards the possibility of alien life continued into the twentieth century. As long as humankind was unable to travel into space, extraterrestrial life seemed as probable to scientists and the general public alike. However, a split in the belief in ET life forms occurred in the beginning of the twentieth century. With advancement in the areas of physics, astronomy, and evolutionary biology, scientists started to understand how complicated and fragile life on earth was, how unlikely it was that life even developed somewhere hospitable to it, let alone elsewhere in a largely dangerous and inhospitable universe. Furthermore, the early explorations of space by probes showed no signs of life on the barren planet of Mars and exposed Venus to be a planet of such dramatic climate as to be not conducive to supporting any known forms of life. The major scientific argument against extraterrestrial life was formed: Earth was unique in its evolution, randomly composed of the exact conditions to support the fragile, and somewhat random itself, process that led to life. Most scientists believed that for such conditions to happen twice, even in a universe as big as this one, is unlikely. Yet, as science was dismissing the notion of extraterrestrial life, it was becoming more popular in public imagination. The connection between extraterrestrials, the sudden frequent reports of unidentifiable, un-Earthly aircraft known now as UFOs, and the anthropomorphizing of extraterrestrials into the common identity of aliens, as they are known today, happened in the time period between 1920 and 1950. The possibility of intelligent life forms became an alluring mystery to the public. Early science fiction of the period used aliens frequently in its stories. Even those who claimed not to believe in aliens shared a widespread fear of malevolent creatures from space, possibly best demonstrated by Orson Welles' infamous radio broadcast of The War of the Worlds, in which hundreds of people in the New York and New Jersey area were led to believe an invasion by aliens was taking place. Belief in aliens has become one of the most interesting and complicated aspects of pop culture and the new age movement in the later half of the twentieth century. Not only was it commonly believed that UFOs were in fact alien space craft, but reports of contact between humans and aliens have been prevalent since the 1950s. The development of the highly controversial alien abductions is perhaps the most bizarre phenomenon in the UFO culture. The incident in New Hampshire in 1961, involving Betty and Barney Hill was the first reported abduction of humans by extraterrestrials for the purpose of medical experiments and testing. The tenacity of the couple, their desire to keep the incident a secret, and the recognition of their psychologist that something traumatic had happened to them all lent a sense of credibility to their story when it was revealed some years later. Since then, thousands of people around the world have made similar claims. "Contactees" (persons who claim to be in regular contact with extraterrestrials) have typically reported that they were given messages or profound wisdom by aliens, and that they were compelled to share these messages. As a cultural phenomenon, contactees perhaps had their greatest notoriety from the late 1940s to the late 1950s, but individuals have continued to make similar claims. Some shared their messages with small groups of followers, and many issued newsletters or spoke at UFO conventions. …the visitation to the earth of generally benign beings whose ostensible purpose is to communicate (generally to a relatively few selected and favored persons—almost invariably without witnesses) messages of "cosmic importance." These chosen recipients generally have repeated contact experiences, involving additional messages. The transmission of such messages to willing and uncritical true believers frequently, in turn, leads to the formation of a flying saucer cult, with the "communicator" or "contactee" the willing and obvious cult leader. Although relatively few in number, such flying saucer advocates have by their irrational acts strongly influenced public opinion. These beliefs are fueled by the media, in which aliens are commonplace elements of science fiction in films and television shows, as well as books and documentaries. Conspiracy theorists have claimed that world governments have clandestine relationships with aliens or are otherwise covering up alien existence. Commonly, these aliens are seen as small, with grayish skin, large head, and black, lidless eyes. They are sometimes referred to as "greys." Other depictions perceive aliens as reptilian, insect-like, or even resembling people of Nordic descent. Aliens are depicted with conflicting motivations: Some believe aliens exist to help humankind, while other times aliens are seen as hostile and using humankind for their own advancement. Either way, the notion that there are other life forms that possess similar intelligence and cognitive abilities as human beings seems to strike a chord in people. Perhaps it is an overactive imagination projecting onto the infinity of the cosmos, of which science still knows little, or perhaps the fear of the ultimate unknown, that which is "alien" to humankind, that helps fuel the belief. On the other hand, some Christians theorize that purported aliens are in fact angels or demons—spiritual creatures rather than material beings from outer space. They point out that angels and demons can appear in any form, including "aliens" if that is what matches human beings' expectations. The mixed motivations of the so-called aliens also fits with the behavior of spiritual beings, who may either seek to help or create problems for the people they visit. Numerous traditions teach that the Earth is unique among the planets as the place of free choice and responsibility. A development at the end of the twentieth century in the field of extraterrestrial life is "exopolitics," or the political implications of extraterrestrial contact, a term that came into use by Alfred Webre in his groundbreaking work as a futurist at the Stanford Research Institute. His view is that humanity lives on an isolated planet in the midst of a populated, evolving, and highly organized universal society. The stigma attached to the question of alien lifeforms from the more outlandish pop cultural ideas left many scientists in the latter half of the twentieth century unwilling to pursue the topic, either because they were afraid of ridicule within their discipline or they firmly believed that such endeavors were pointless. However, there have always been, and continue to be, serious scientists willing to examine these questions. Astrobiology as a field of study has gained legitimacy and acceptance in the scientific community. Its main objectives include the search for extraterrestrial life, but in so doing seek to develop a better understanding of life on Earth. A difficult term to define, life can be considered the characteristic state of living organisms and individual cells, or that quality or property that distinguishes living organisms from dead organisms and inanimate objects. Although universal consensus on a definition is lacking, biological properties common to the known organisms found on Earth (plants, animals, fungi, protists, archaea, and bacteria) are that they are carbon-and-water-based, are cellular with complex organization, use energy and undergo metabolism, possess a capacity to grow, maintain homeostasis, respond to stimuli, reproduce, and have various adaptations to the environment. Beyond these biological manifestations of matter, some philosophical and religious perspectives argue that living organisms possess an inner aspect or character that confers the quality of life. Without concrete facts to analyze or direct phenomena to observe, most scientists studying extraterrestrial life have had to do so by speculation. Most speculation is, however, based on what is accepted knowledge of astronomy and biology, as well as careful scientific postulating. For example, scientists must first try to understand if the evolution of extraterrestrial life would have occurred independently in different places in the universe, or if, as a minority of scientists contend, life in the universe could have stemmed from a smaller number of points of origin, and then spread across the universe, from habitable planet to habitable planet, known as panspermia. Another concern is the evolutionary state of extraterrestrial life. There seems to be a greater possibility in the mind of many scientists that simple life forms, such as basic proteins and microbes, are more probable than more radically evolved organisms. One reason for this is that these simpler lifeforms are easier to develop and maintain than a more complicated life form, such as the human being, and therefore can possibly exist in a wider variety of environments. The other reasoning for simpler life forms does not exclude the notion of complex lifeforms, but rather that humankind will never find any, because by the time a probe or spacecraft could reach other planets, the stars supporting the alien species would have died out and destroyed them. In this scenario, the most likely organisms humanity would discover are simple proteins in its own solar system. The assumption of radical diversity amongst putative extraterrestrials is by no means settled. While many exobiologists stress that the enormously heterogeneous nature of Earth life foregrounds even greater variety in space, others point out that convergent evolution dictates substantial similarities between Earth and off-Earth life. These two schools of thought are called "divergionism" and "convergionism," respectively. Since the last quarter of the twentieth century, scientists have been actively searching the universe for other lifeforms with all the different types of technology available. Yet, even if all of NASA and the European Space Agency's budgets were directed towards this one goal, the universe is still too large and the technological means inadequate to exhaustively search those areas in space that could possibly harbor life. Still, there are undaunted scientists who continue to search for possible life, whether it be bacteria or advanced civilizations. There are two different methods scientists use in this search: the direct and indirect method. Scientists are directly searching for evidence of unicellular life within the solar system, carrying out studies on the surface of Mars, Europa (one of Jupiter's natural satellites), and Titan (a moon of Saturn). The possibility of life on Mars has always been a matter of speculation, but became an even more heated issue in 1996, when structures resembling bacteria were reportedly discovered in a meteorite, ALH84001, thought to be formed of rock ejected from Mars. Such potentialities have helped to keep interest in alien life open to a number of prominent scientists. NASA's Mars Lander probes have surveyed the landscape of the red planet, analyzing the geological and chemical makeup of the environment, in order to determine, among other things, if the planet could have at some point supported life. There is circumstantial evidence that Mars was at one time supportive of life; the frozen water at the Martian poles most likely once flowed over the surface of the planet, and the levels of methane in the atmosphere, a gas that occurs in Earth's atmosphere as the result of biological processes. Studies of Saturn's moon Titan have discovered high levels of methane and nitrogen in the atmosphere, along with other organic compounds that point to the possibility of life forms. Its extremely low temperatures (-289 °F) and hostile weather more than likely rule out current life, at least on the surface. Underground liquid reservoirs, coupled with recent discoveries on Earth of small life forms surviving in incredibly harsh environments, suggested that perhaps there are, or were, micro-sized organisms on Titan. 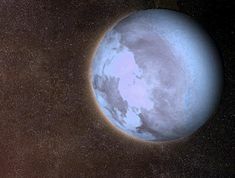 Astronomers are also searching for extrasolar planets that would be conducive to life, especially those like OGLE-2005-BLG-390Lb, which have been found to have Earth-like qualities. Radiodetection methods have been inadequate for such a search, as the resolution has been inadequate for detailed study of extrasolar planetary objects. Future telescopes should be able to image planets around nearby stars, which may reveal the presence of life (either directly or through atomic spectrography, which would reveal key information such as the presence of free oxygen in a planet's atmosphere). Darwin is an ESA mission designed to find Earth-like planets and analyze their atmosphere. It has been argued that one of the best candidates for the discovery of life-supporting planets may be Alpha Centauri, the closest star system to Earth, given that two of the three stars in the system are broadly sun-like. Some scientists theorize that any technological society in space would be transmitting information, and that instruments on Earth could possibly pick up those transmissions. In 1960, Cornell University astronomer Frank Drake performed the first modern experiment, named "Project Ozma" after the Queen of Oz in L. Frank Baum's fantasy books. Drake used a 25-meter-diameter radio telescope at Green Bank, West Virginia, to examine the stars Tau Ceti and Epsilon Eridani near the 1.420 gigahertz marker frequency. Although nothing of great interest was discovered, the notion spawned other searches that continue to this day. Such searches had been categorized under the acronym SETI (Search for Extra-Terrestrial Intelligence). Using radio telescopes to scan for cosmic transmissions is an approach widely endorsed by the scientific community as hard science. 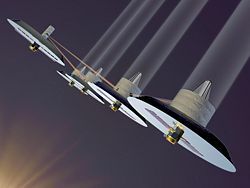 There are great challenges in searching across the sky to detect a first transmission that can be characterized as intelligent, since its direction, spectrum, and method of communication are all unknown beforehand. SETI projects necessarily make assumptions to narrow the search, and thus no exhaustive search has so far been conducted. A basic assumption of SETI is that of "Mediocrity": The idea that humanity is not exotic in the cosmos but in a sense "typical" or "medium" when compared with other intelligent species. This would mean that humankind has sufficient similarities with other intelligent beings that communication would be mutually desirable and understandable. If this basic assumption of “Mediocrity” is correct, and other intelligent species are present in any number in the galaxy at humanity's technological level or above, then communication between the two worlds should be inevitable. Another assumption is to focus on Sun-like stars. Very big stars have relatively short lifetimes, meaning that intelligent life would likely not have time to evolve on planets orbiting them. Very small stars provide so little heat and warmth that only planets in very close orbits around them would not be frozen solid, and in such close orbits these planets would be tidally locked to the star, with one side of the planet perpetually baked and the other perpetually frozen. About 10 percent of the stars in the Milky Way galaxy are Sun-like, and there are about a thousand such stars within 100 light-years of the Sun, comprising the useful primary targets for interstellar listening. Finding an electromagnetic transmission from an alien civilization involves searching through most of the useful radio spectrum, as there is no way to know what frequencies aliens might be using. Trying to transmit a powerful signal over a wide range of wavelengths is impractical, and so it is likely that such a signal would be transmitted on a relatively narrow band. This means that a wide range of frequencies must be searched at every spatial coordinate of the sky. There is also the problem of knowing what to listen for, as scientists have no idea how a signal sent by aliens might be modulated, and how the data transmitted by it might be encoded. Narrow-bandwidth signals that are stronger than background noise and constant in intensity are obviously interesting, and if they have a regular and complex pulse pattern are likely to be artificial. However, while studies have been performed on how to send a signal that could be easily deciphered, there is no way to know if the assumptions of those studies are valid, and deciphering the information from an alien signal could be very difficult. Many different SETI projects have come and gone since the mid-twentieth century. The massive radio dish in Arecibo, Puerto Rico, once was distinguished in its SETI program, until the U.S. government cut its funding. Since then, most of the SETI work being done has been in the private sector, such as the Allen Telescope Array in California, the Phoenix Project in Australia, and Harvard University's Optical SETI project. In 1974, a largely symbolic attempt was made to send a message to other worlds. To celebrate a substantial upgrading of the 305 meter Arecibo Radio Telescope in Puerto Rico, a coded message of 1,679 bits was transmitted towards the globular cluster M13, about 25,100 light years away. The message contains a pattern of 0s and 1s, defining a 23 × 73 two dimensional grid which when plotted reveals some data about our location in the solar system, a stylized figure of a human being, chemical formulae, and an outline of the radio telescope itself. The 23 by 73 grid was chosen because both 23 and 73 are prime numbers, which makes it easier to decode the message. Given the limitations of the speed of light for message transmission, no reply would be possible before the year 52,174 (approximately) and hence has been dismissed by many as a publicity stunt. It also generated controversy over the serious question of whether a small group should be allowed to speak for Earth. ↑ Al Van Helden, "Giordano Bruno (1548-1600)" (1995). Retrieved February 27, 2017. ↑ Leon Festinger, Henry W. Riecken, and Stanley Schachter, When Prophecy Fails: A Social and Psychological Study of a Modern Group That Predicted the Destruction of the World (Harper-Torchbooks, 1956, ISBN 0061311324). ↑ J. Allen Hynek, The UFO Experience: A Scientific Inquiry (Marlow & Company, 1998, ISBN 156924782X). ↑ S. H. Lee, Unification Thought (New York: Unification Thought Institute, 1981, ISBN 0960648003). ↑ David Darling, "Variety of extraterrestrial life," The Encyclopedia of Astrobiology, Astronomy and Spaceflight. Retrieved February 27, 2017. ↑ Ker Than, "Scientists Reconsider Habitability of Saturn's Moon," SPACE.com (September 13, 2005). Retrieved February 27, 2017. ↑ Jennifer Kahn, "Notes From Another Universe," Discover (April 2002). Retrieved February 27, 2017. Crowe, Michael J. The Extraterrestrial Life Debate, 1750-1900. Mineola, NY: Dover Publications. Lemnick, Michael T. Other Worlds: The Search for Life in the Universe. New York: Touchstone Books, 1998. Roth, Christopher F. "Ufology as Anthropology: Race, Extraterrestrials, and the Occult" in Debbora Battagilia, E.T. Culture: Anthropology in Outerspaces. Durham, NC: Duke University Press, 2005. Sagan, Carl, and I.S. Shklovskii. Intelligent Life in the Universe. New York: Random House, 1966. Sagan, Carl. Communication with Extraterrestrial Intelligence. Cambridge, MA: MIT Press, 1973. Sagan, Carl. The Demon-Haunted World: Science as a Candle in the Dark, 1996. chap. 4: "Aliens." All links retrieved February 27, 2017. Xenopsychology by Robert A. Freitas Jr. This page was last modified on 27 February 2017, at 16:03.